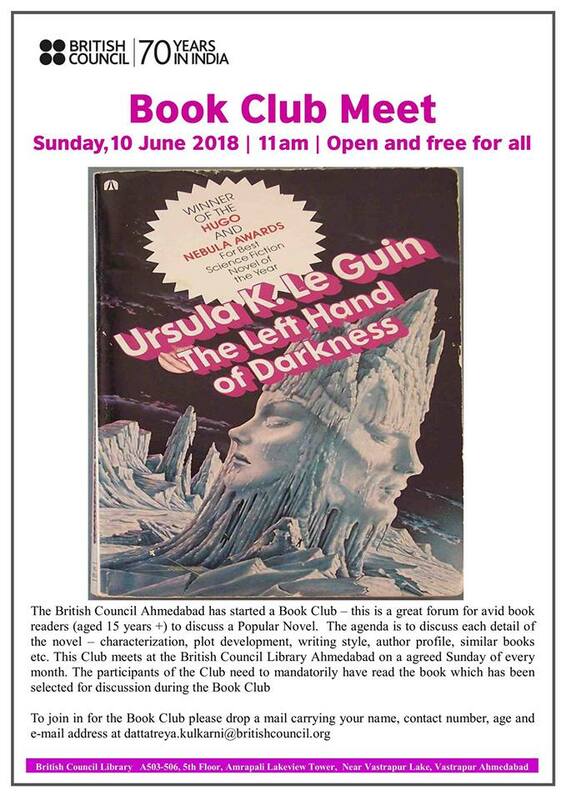 About the Event: The British Council Ahmedabad has started a Book Club – this is a great forum for avid book readers (aged 15 years +) to discuss a popular book. The agenda is to discuss each detail of the book – characterization, plot development, writing style, author profile, similar books etc. This Club meets at the British Council Library Ahmedabad on every second Sunday of every month.